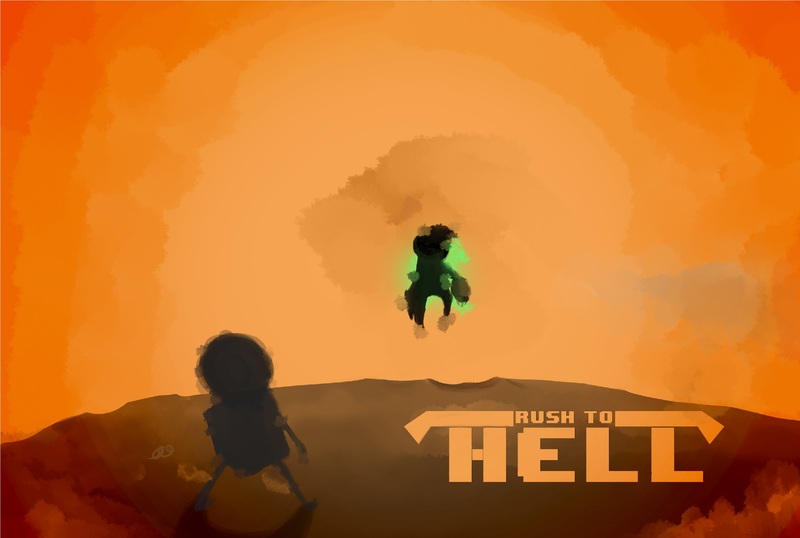 Rush to Hell is a peri-apocalyptic game roguelike-like top-down shooter. Years of technological progress have led to the use of Earth as a source of energy, and humanity has begun to develop at twice the speed. After decades of use and after putting the planet in poor condition, the earth has begun to crumble causing huge chasms making it a hostile and uninhabitable place for weak living beings, forcing humans to move on to other space colonies. Pick from 10+ characters, from a young Astronaut to a Fallen Hero, a Time Traveler and much more! Make your way and go down to the center of the earth through 7 different randomly generated levels! Customize all the stats of your character by distributing your Embers in countless different ways! Upgrade your weapon and your character with more than 100 unique items, including active, passive and small animals that will follow you during your adventure! Customize every skill of your favorite character by choosing one of the 6+ unique abilities of that character, with a skill tree that can exceed 50 upgrades for each character! Fight against hordes of enemies with more than 45 dangerous and unique opponents, each with their special abilities! Going alone is dangerous ... Bring a friend with you and help each other by reaching your goal with Co-Op Online! Rush to Hell on IndieGogo! Rush to Hell will land on Indiegogo towards April-May! Hi guys! How are you? Finally we made the decision to bring Rush to Hell on Indiegogo. Unfortunately, our funds are starting to fail and only thanks to you could we be able to finish Rush to Hell. Help us make Rush to Hell a reality, sharing and talking with your friends! Join your favorite Savior and subscribe to our mailing list for real-time news and fantastic opportunities! The time is now! Join the RUSH TO HELL - DISCORD SERVER! ThatzTeam is searching for Youtubers, Streamers and PR! Are you a Youtuber, a Streamer or a blogger and do you like to review indie video games in progress? You have your chance! Rush to Hell - Demo is Out Now! It's time. "What time is it?" It's time to RUSH TO HELL! Rush to Hell DEMO DECEMBER 16TH! Rush to Hell DEMO is coming soon! Unlock the Limited "GOLDEN SAVIOR" Skin! A new version with a lot of new content! Rush to Hell ALPHA 2.0! Rush to Hell DEMO Update 1.1 is out now! Check it out!